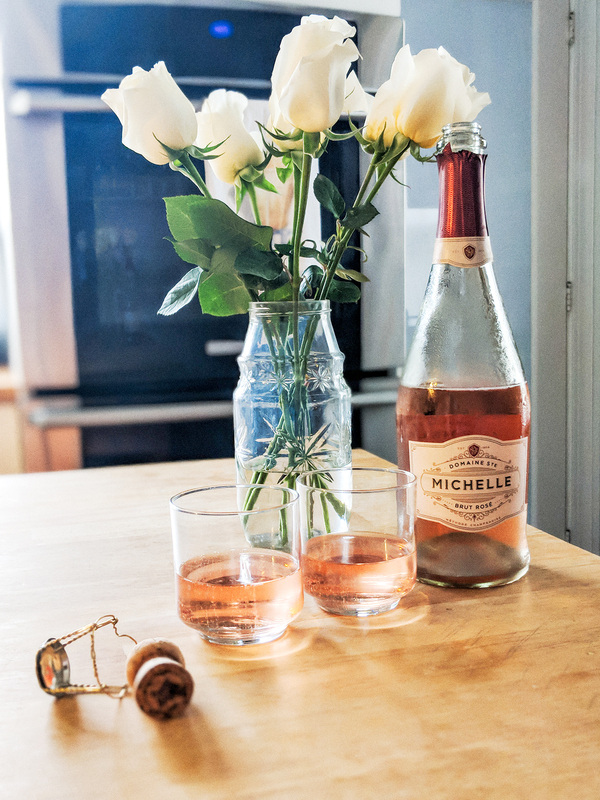 Summer has unofficially become Rosé season and those pink, bubbly drinks always look so darn refreshing. Unfortunately, I’m not a huge fan of sweet drinks, and most rosés I’d tried had fallen squarely into that category. I decided to do some research and see if I might be able to find a refreshing rosé that we might actually enjoy on a hot summer night, as basic a drink choice as it may be. So after narrowing down the huge selection to a few options that were pitched as dry and refreshing, I picked five to taste-test, each under $15 (because there’s nothing better than finding something you enjoy that’s also easy on the wallet) and found which ones I’d buy again, and which just weren’t going to make the cut. 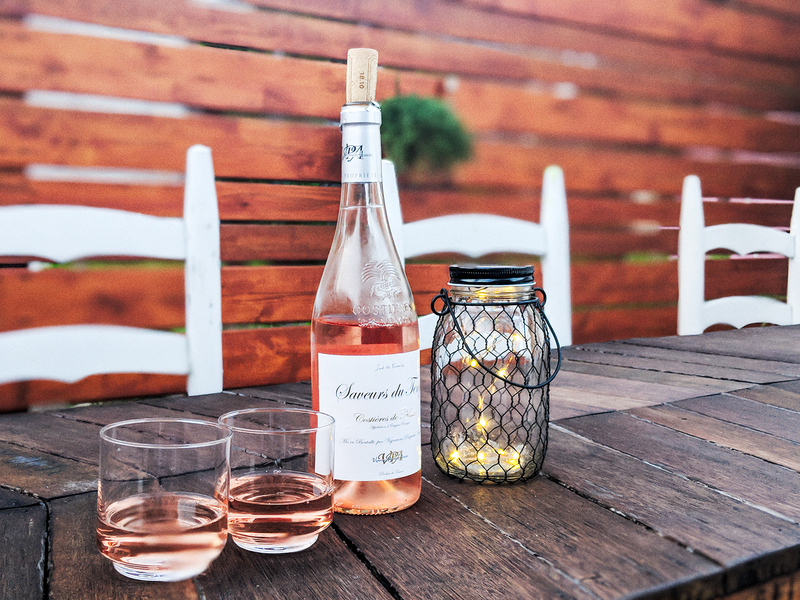 *The most important thing when drinking rosé is to make sure it’s very well chilled; it all tastes better ice cold on a hot night. In all seriousness though, this is just the opinion of a girl (and her partner) who are not fans of overtly sweet wines who wanted to search out a dry, refreshing rosé. Obviously, I’m not an expert and these are just opinions. 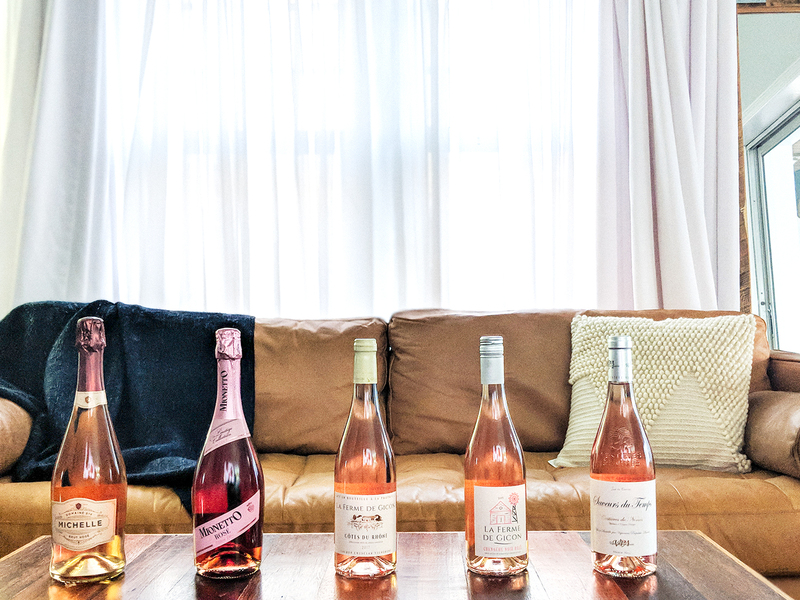 If you’re a rosé fan, I’m curious, what’s your favorite summer rosé? Or even just your favorite summer drink? This was the first bottle we tried, so admittedly my expectations were very low – like I mentioned, I hadn’t been a real rosé fan before this experience. That said, this one might have also set the bar a little high because everyone tasting this thought it was a hit. It was a lot like a dry champagne, perfectly effervescent, slightly fruity, and not at all too sweet. After tasting this rosé I was eager to jump on board the rosé train and declare myself a fan. Bottom Line: Yes, I’ll definitely be buying this again. This was more in line with the first bottle we’d tried. It was bubbly and refreshing and not at all too sweet. I’m not a wine aficionado so I can’t give much more insight besides that it was enjoyable, especially after the previous two very sweet wines. Bottom Line: Yes, I’d also purchase this one again for summer dinner’s outside. There was no bubbly fizz to this, which was a red flag as soon as I opened the bottle. And upon the first sip, it was very sweet. It reminded me of a crisp white wine, which isn’t a bad thing per say, it just wasn’t for me. It could be a good summer choice if you’re into that sort of thing, but for me, I was let down after my first experience. Bottom Line: Eh, I’ll be skipping this one in the future. I was so distracted by all the options at the liquor store and was adding things to my basket based solely on two criteria, label and price, that I didn’t even realize that two of the rosés I picked up are the same brand, but different variations. Not so surprisingly, they were very much the same, except this one, the Grenache Noir Rosé, is slightly less sweet than the Cotes Du Rhone. Bottom Line: Eh, if you’re a white wine fan, you might like this, but it was not for me. This could best be described as tasting flat. Another white wine imposter. Maybe that’s how rosé is supposed to taste, but I prefer the drier, bubbly selections. Bottom Line: Eh, not for me, I found during this experiment that I prefer the bubbles.